For most people, January is simply the start of the New Year. 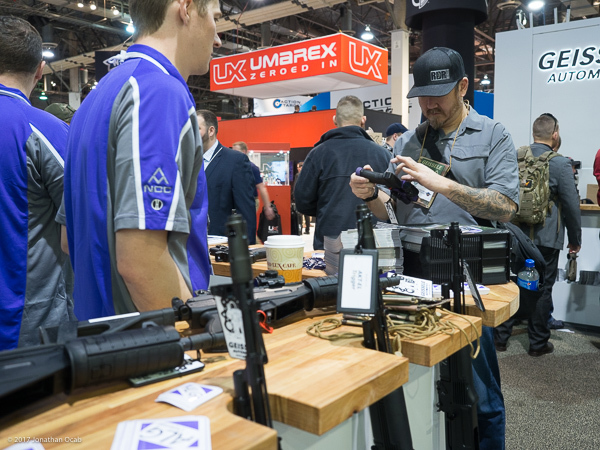 But for any avid firearms enthusiast, January means one thing: SHOT Show. Just like the Consumer Electronics Show is the big event of year for gadget junkies and E3 is the big event of the year for gaming nerds, the Shooting, Hunting, Outdoor Trade Show is the big event of the year for firearms owners and enthusiasts, hunters, and outdoors(wo)men. 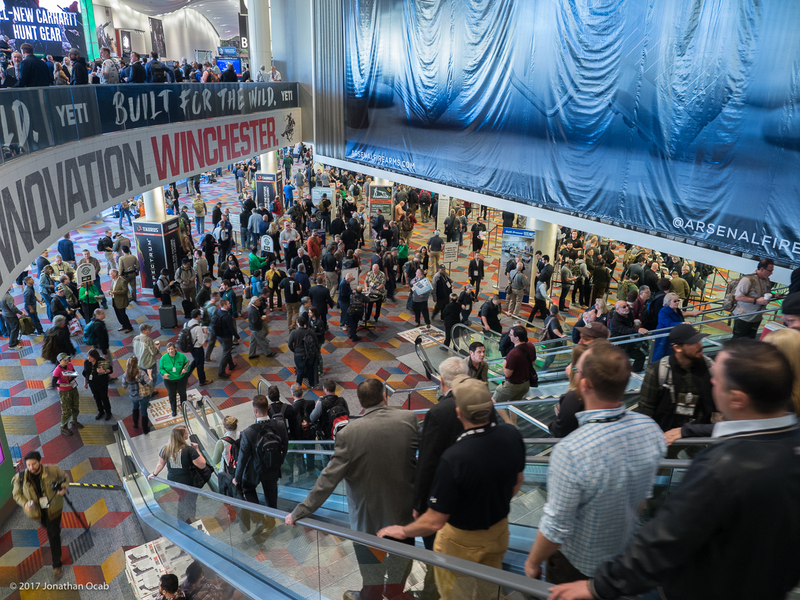 On the week of January 16th, tens of thousands of people flocked to Las Vegas (NV) to attend the 2017 SHOT Show. Of course, as in the past several years, I made my pilgrimage to Las Vegas to partake in the event. For those who have read my After Action Reports for the previous SHOT Shows, you will know that I publish several relatively short posts which include some of the items that I noticed during the event. This will not change with my report on SHOT Show 2017. 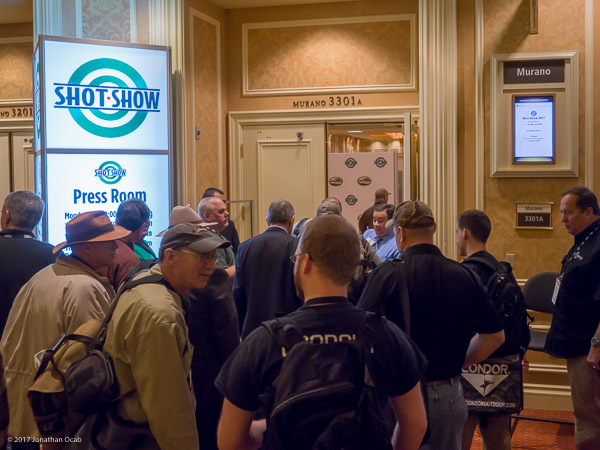 As always, I would like to point out that I do not have the time or impetus to cover every single new product announced at SHOT Show. I do my best to seek out items that interest me, but to keep an eye out for things that will be interesting to other shooters. The Internet is a huge resource, and there are well over 2,000 media attendees covering the event, so I encourage anyone interested in SHOT Show coverage to pull information from multiple sources to get various angles of reporting on SHOT Show. I always have to start out SHOT Show with coverage of Geissele. I don’t consider myself a Geissele fanboy. But I do have to thank Bill Geissele for making his 2-stage National Match trigger for large pin Colt lowers, because that helped me jump start my competitive High Power Service Rifle campaign. 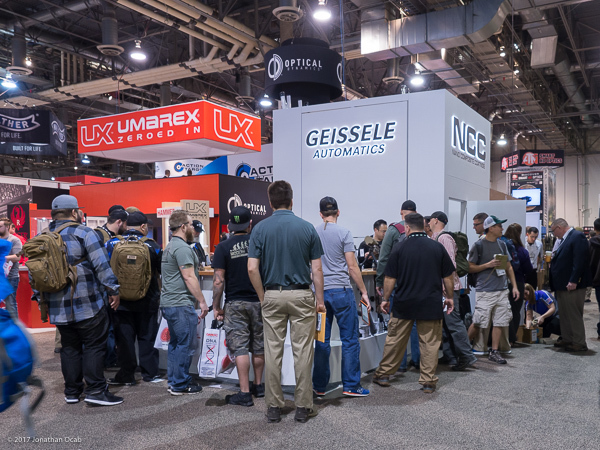 Although, a big reason for anyone attending SHOT Show to run over to the Geissele booth first is because Geissele (and ALG Defense) hand out free badge holders which are actually good, as opposed to the generic clip lanyards handed out by the NSSF (sorry, NSSF). 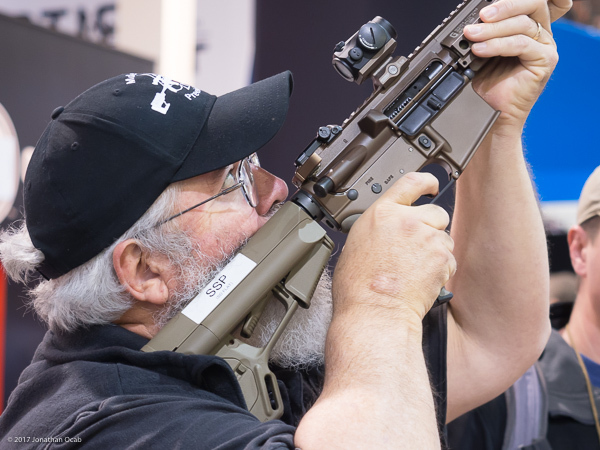 One specific new item of note from Geissele this year is the Super Speed Precision trigger. 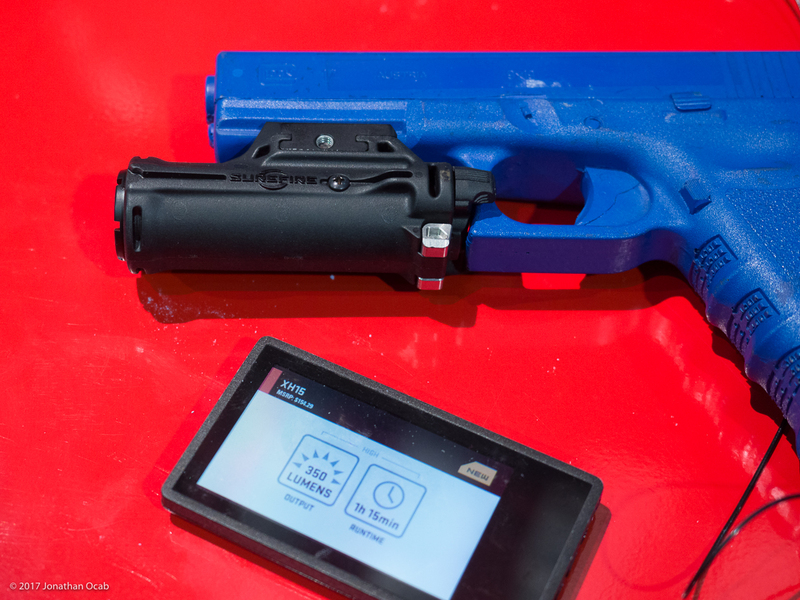 This was actually a prototype at last year’s SHOT Show, but the SSP is now going into production with a Q2 2017 targetted release date. 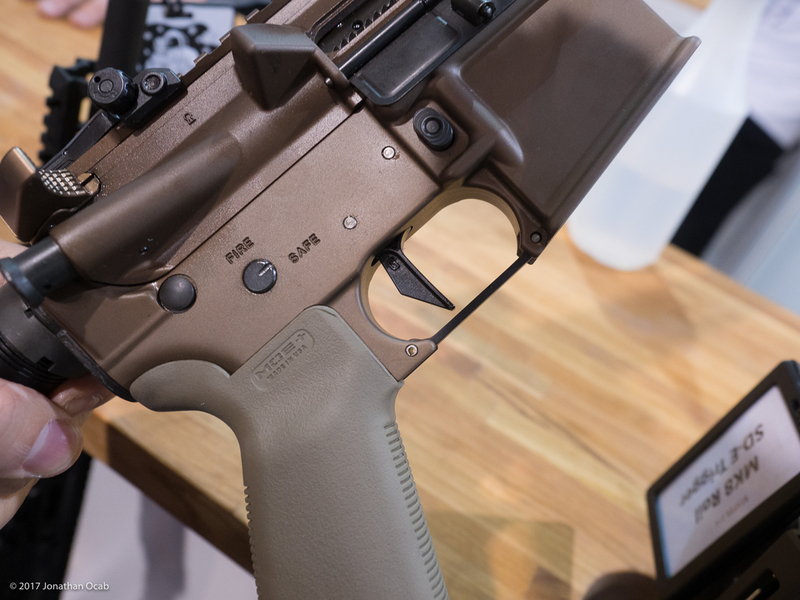 The SSP is Geissele’s first true single stage trigger and will come in either a 3.5lb or 4.5lb pull weight and carries a quoted lock time of 5 milliseconds. The SSP is also going to be available in three different trigger bow (shoe) configurations: standard curved, M4 curved, and flat. All of the SSP configurations will carry an MSRP of $240. I have a very discerning trigger finger and when I dry fired the SSP, I found the trigger break to be absolutely crisp with zero creep or trigger flex at the ‘wall’ of the break. The reset is quite short, so those who want a longer reset for better follow up shot control may not like this trigger. But the reset is distinct enough for fast, yet deliberate followup shots. I would personally argue that at the moment of break, the SSP feels more crisp than the SSA-E. 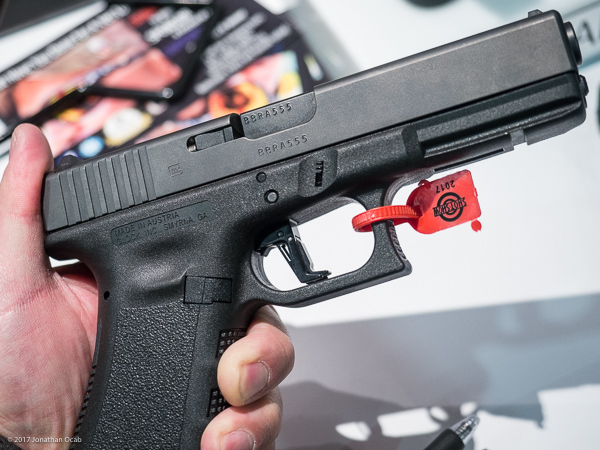 While on the topic of triggers, one other trigger caught my attention at SHOT 2017 and that is a Glock trigger by CMC Triggers. 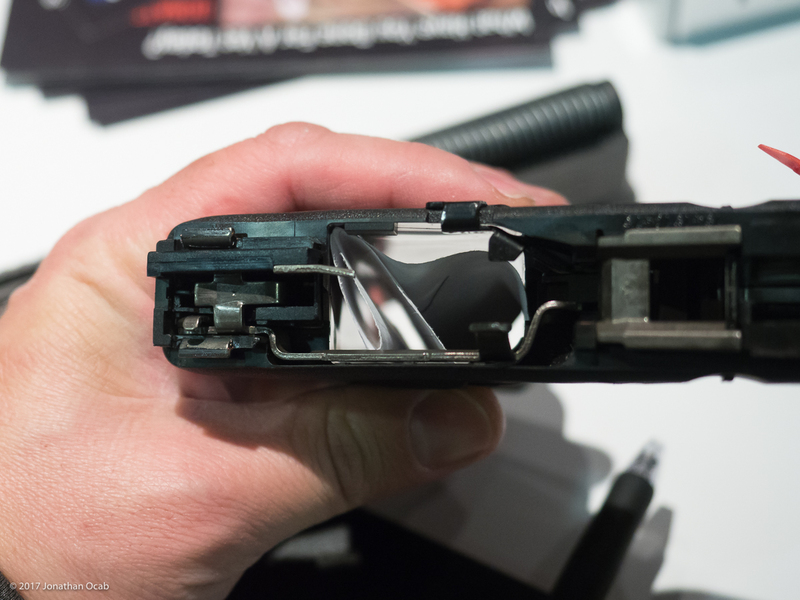 The CMC Triggers Glock trigger will actually use polished OEM internals (e.g. trigger bar) just like many aftermarket Glock trigger packages, but the CMC Triggers Glock package is utilizing their own flat trigger face/shoe and safety machined from 8620 alloy steel and S7 tool steel, as opposed to polymer. The trigger has surprisingly little to no take before the break and the trigger bowing/flex that I can detect when I am pulling on a polymer trigger is no longer there. The pull weight on the model of the floor felt like 5lbs. I wasn’t given an official pull weight specification, nor did they have a pull weight gauge, so my 5lbs estimate (translation: guess) is based on my years of shooting various triggers. I was quoted a $175 MSRP with an availability target date of March 1st. 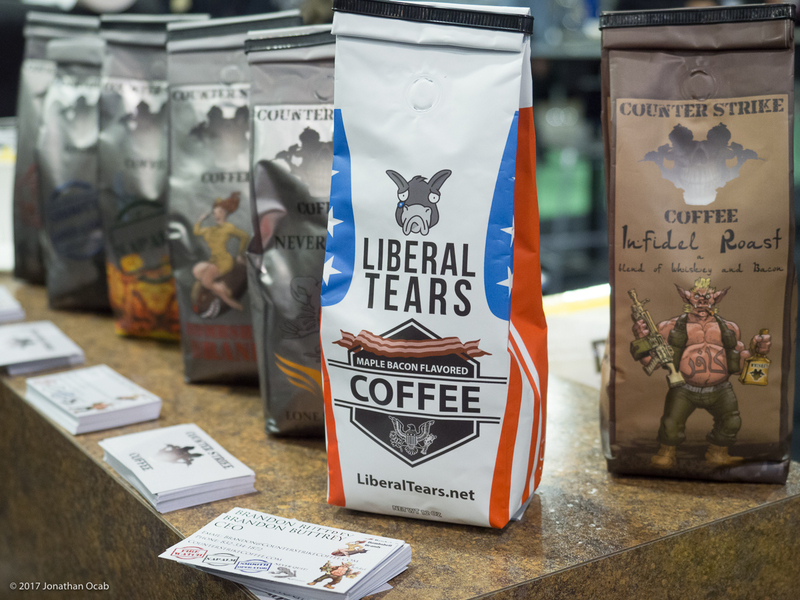 The representative at the CMC Triggers booth did indicate that once they get back to Texas from SHOT Show, they will start production to get the first batch out. Don’t ask about the paper in the magazine well. Most likely an inventory tag. So if you want one, you should get ready to shell out $175 because they will be available very soon for all 9mm and 40S&W Gen 1-3 and all Gen 4 Glocks, excluding single stack Glock models and excluding .45ACP Glocks. 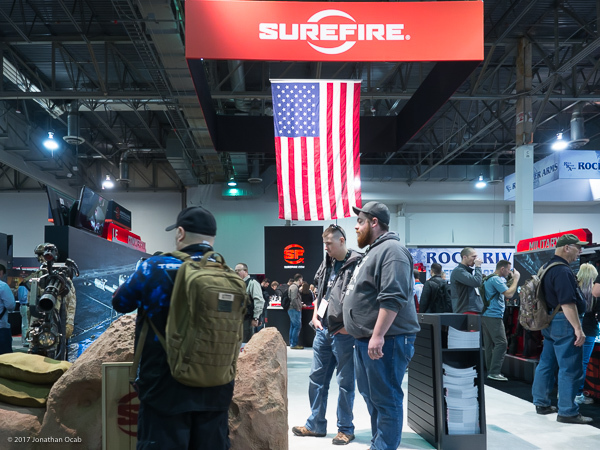 My trip to SHOT Show wouldn’t be the same without a visit to the SureFire booth. I honestly have a love-hate relationship with SureFire right now. While I do like their products, their prices are on the high end. Other illumination tool manufacturers are really nipping at the heels of SureFire right now on the lower price segments. So I would like to see SureFire take more initiative in improving their existing lineup while lowering cost. 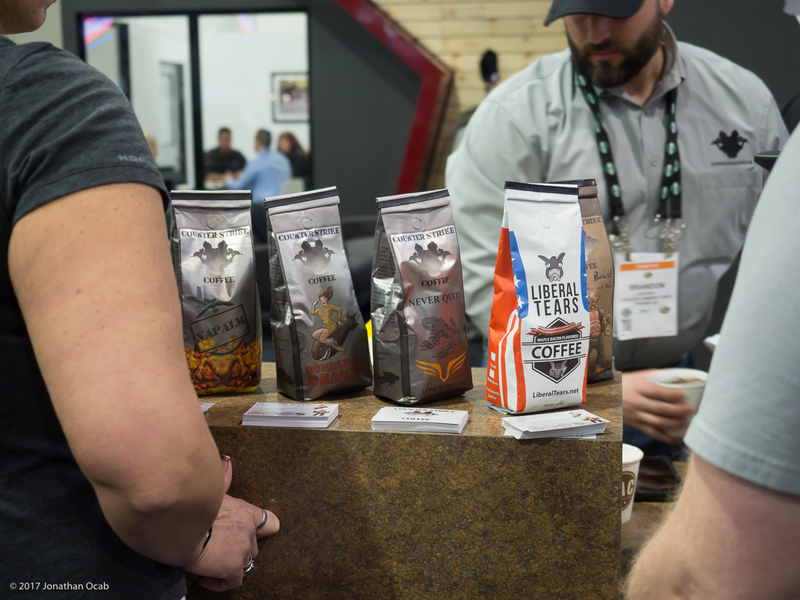 I did not really see that at all from SureFire last year, but it looks like they are trying to at least improve on existing products this year. 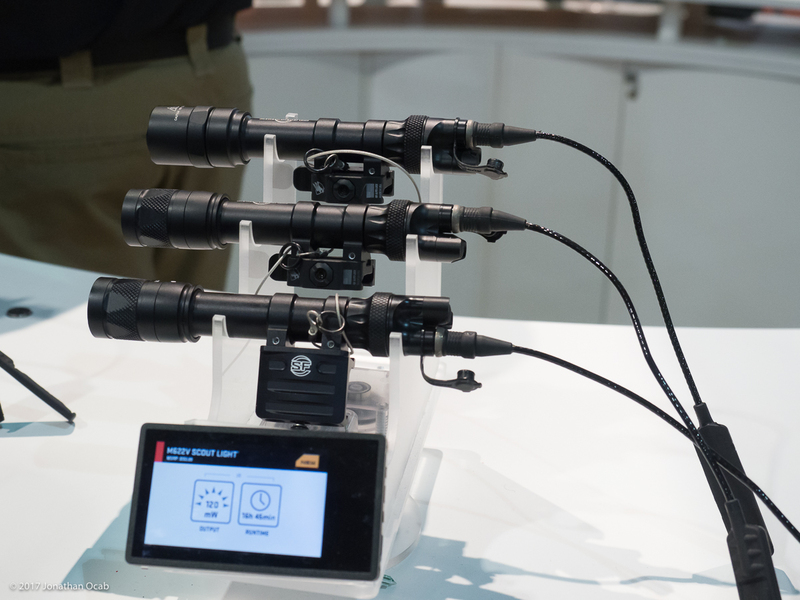 At this year’s show, SureFire updated a lot of their existing lineup, both handhelds and weaponlights. But I wanted to key in specifically on the weaponlight revision starting off with SureFire Masterfire Rapid Deploy holster. This holster design will look familiar to competitive pistol shooters who run “high speed” open front/top speed/race holsters. 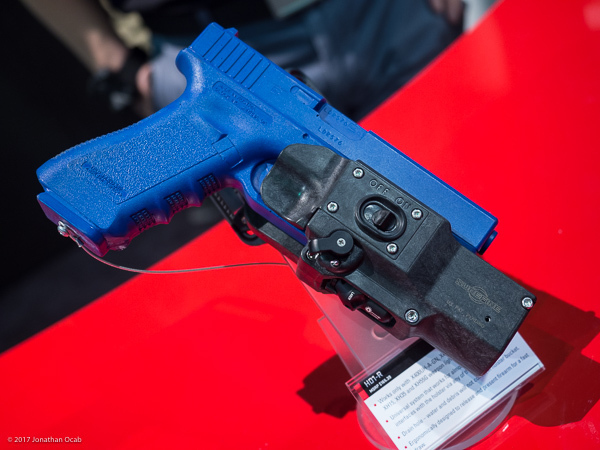 Essentially, the pistol can be drawn from the holster with a single swing forward motion, as opposed to the pull and then swing forward (pull up in order to clear the holster). 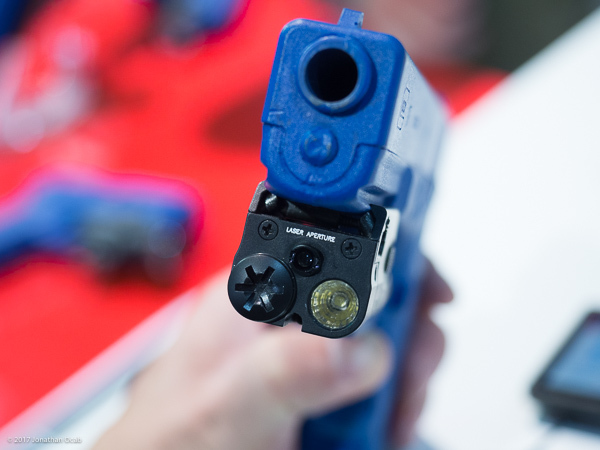 The Masterfire requires a thumb release before it the gun can be drawn, but it also incorporates a lockout safety that prevents the thumb switch from allowing the pistol to be drawn. Thus, the Masterfire is considered a Level 3 holster. 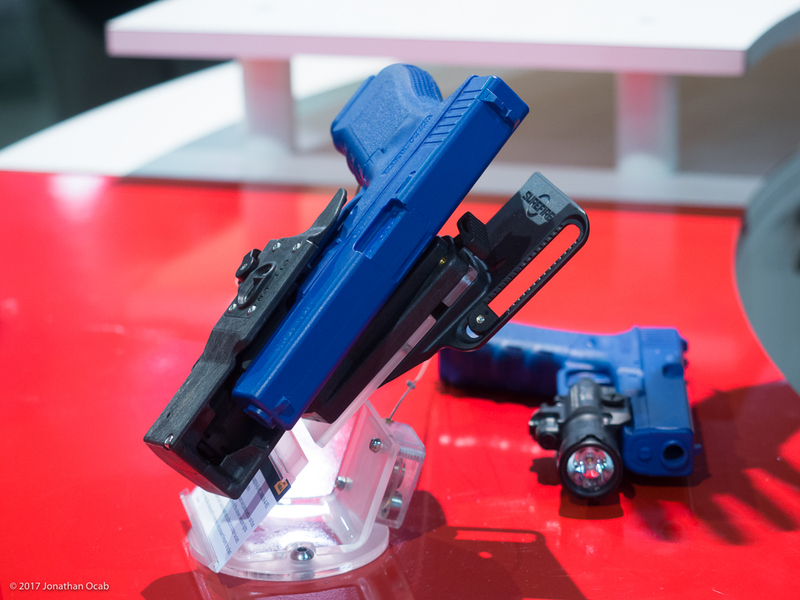 Made out of polymer, the Masterfire HDR1-R is actually a near universal holster, meaning that it should work with Glocks, 1911s, S&W M&P, and other railed pistols as long as they are fitted with a SureFire X400 Ultra Holster light. Yes, the Masterfire holster will work with an Airsoft gun. 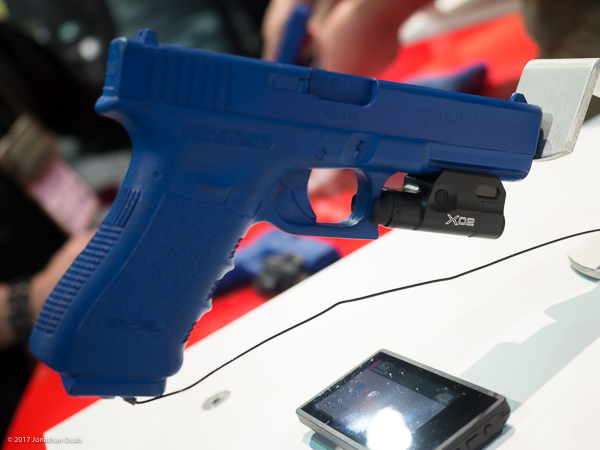 But wait, what is the X400 Ultra Holster light? In order for the Masterfire to be a ‘universal’ holster, the retention is off of the attached weaponlight, and not on any points of the pistol itself. 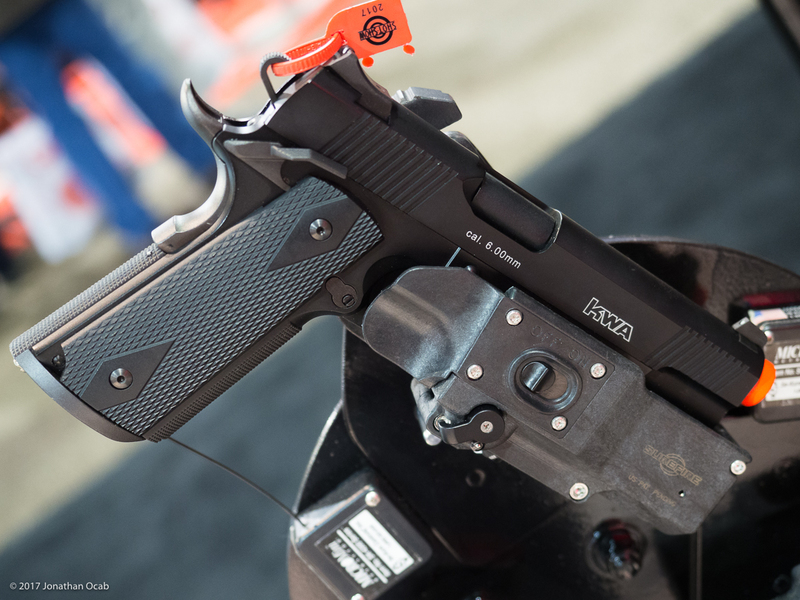 The X400UH has a redesigned body and bezel which creates the contact points necessary for the X400UH outfitted pistol to secure into the Masterfire holster. The Masterfire holster currently has an MSRP of $165.39 (I have no idea why .39 cents, but that is what I saw), while I cannot recall the MSRP of the X400 Ultra Holster light. The display card for the HD1-R Masterfire holster indicated it would be compatible with XH15, XH35, and XH55G weaponlights as well. A prototype version of the XH15 was on display. It is 350 lumen light meant to be a lower cost, entry level weapon light (MSRP $154.29). Granted, $150 is probably not considered low cost for many people, but in the realm of SureFire products, this is relative. From what I understand, the X300 Ultra will be revised to create an X300 Ultra Holster model. 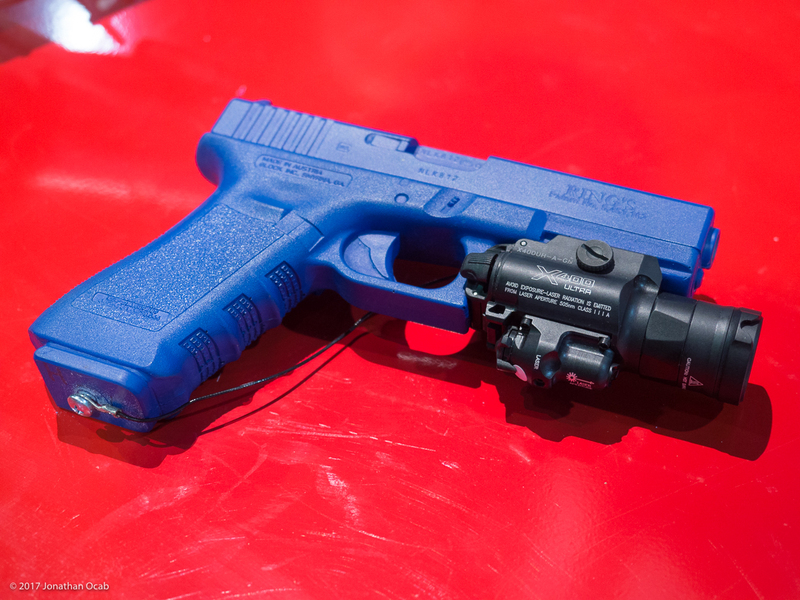 Also new to the SureFire weaponlight family is the XC2. The XC2 is not a replacement for the XC1, but is like the X400 is to the X300. Translation: The XC2 has a laser. The XC2 has the same 200 lumen light output as the XC1 and the same wide MaxVision beam, as well as uses a single AAA battery. But just like the X400 changed with the X300, the XC2 has a different body design (however slight), which means any holster for a pistol+XC1 combination will not work with the XC2. SureFire also revised their Scout lights with the M312/M322, M616/M622 Ultra, and M612V/M626V Scout lights. These lights are very similar to the prior revisions, but these lights are packaged with tailcap that has on/off switches, but will also take the tape switch dongle. Previous Scout lights came with a standard on/off/momentary switch, and if a tape switch were to be used, the cap had to be replaced with a cap for the tape switch only. The DS tailcap is handy for if the tape switch were to fail, the operator can still use the weaponlight via the switch on the tailcap itself. One other revised item in the SureFire catalog is the SureFire 2211 Signature. 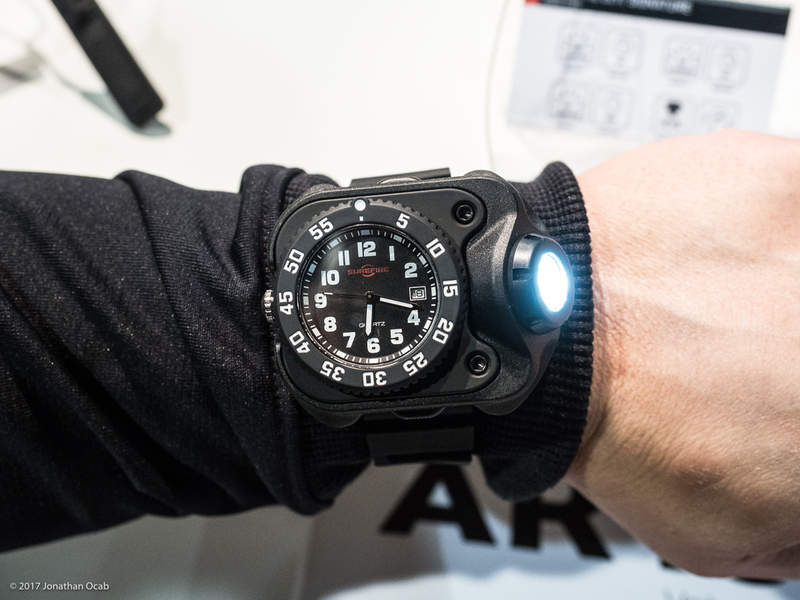 This is an update to the SureFire 2211 Luminox, which is SureFire’s wristwatch and light combination. The 2211 Signature utilizes a different watch as opposed to the Luminox movement, dial and bezel. This means there is no Tritium on the 2211 Signature, but the hands do glow due to some phosphorescent lume. The change from the Luminox movement to a different movement is to lower the cost for the consumer. 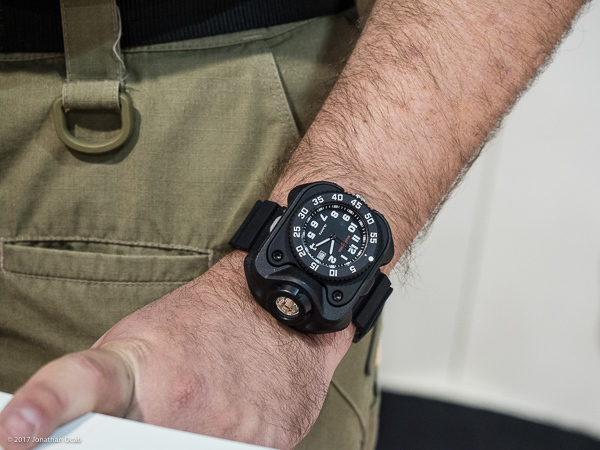 The MSRP is TBD, but from what I was told, this should be a couple of hundred USD cheaper than the 2211 Luminox. Before I close Part 1 of my 2017 SHOT Show After Action Report, I wanted to mention Counter Strike Coffee who was at the Strategic Arms Corp booth giving out free coffee. While I was disappointed Liberal Tears were not available, yet (I believe the packaging is just a mockup), I was thankful for the free coffee while on the show floor. Stay tuned for Part 2 of my 2017 SHOT Show After Action Report which should be posted in the very near future.